Welcome to our charming fully restored traditional detached longère in a beautifully quiet rural hamlet Poitou-Charentes. 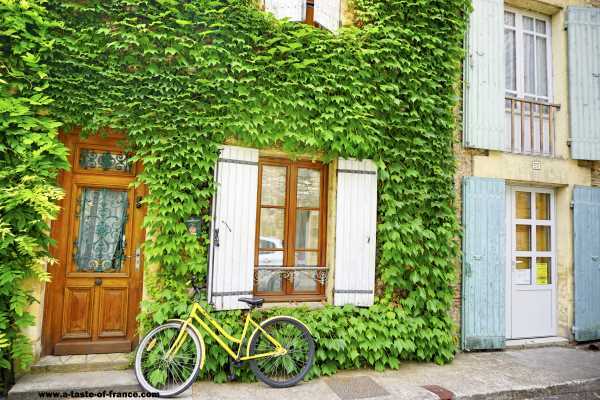 The cottage is very secluded but only 3km from Liglet, a delightful village with bar/restaurant and general store/bakery/post office. 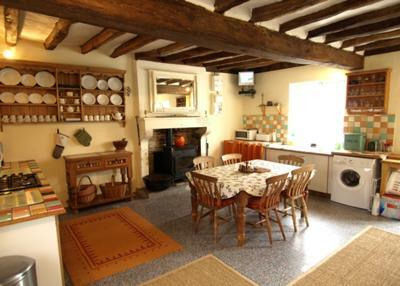 You will have a roomy traditional farmhouse dining/kitchen with wood burner. There are fitted and free-standing units plus washing machine, fridge, freezer, electric oven, gas hob, microwave, toaster, kettle and coffee maker. 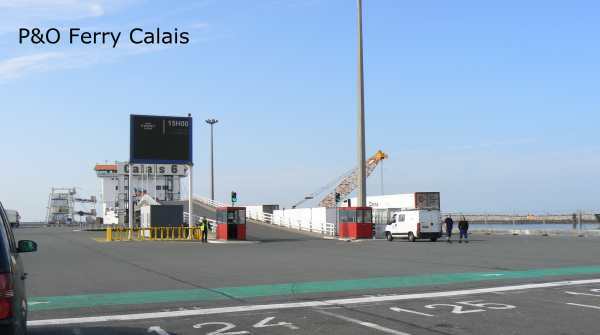 The TV receives the main UK channels. The cosy sitting room has comfy seating and a second wood burner. There is a corner dining suite, a TV receiving major UK channels, a DVD player, CD/radio and a games console with a large selection of games for all ages. You will also have a further small day room on the ground floor with a library of books and magazines. The second floor features a bright and airy salon with double futon, just perfect for relaxing in at any time of day. The large grenier bedroom (Terracotta Room) has a double bed and two single beds with a curtain divider. 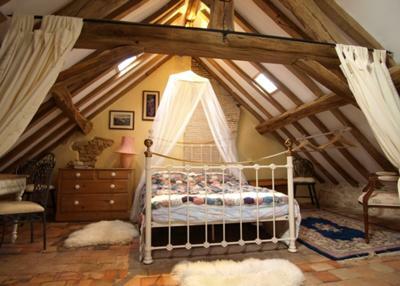 It oozes traditional French rustic charm with exposed beams, stonework and original tommettes flooring. The second grenier bedroom (Oak Room) features an exposed stone wall and oak flooring. It has a double bed and overlooks the garden facing west. There is an attractive ground floor bathroom with full sized bath and shower over. 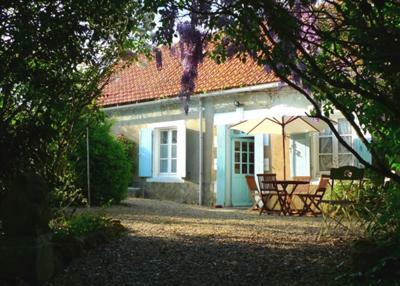 The cottage has a large garden of 1800m2 with ample private parking. The front of the cottage offers a gravelled patio area near the working well with hardwood dining furniture. This south facing terrace is ideal for lunchtime dining amidst the scent of lilac and wisteria. The rear of the cottage has a large flat open grass area with occasional fruit trees including apple, pear and blackberry. Mixed hedge screening makes it totally private. Sun loungers are available. There is an additional gravelled patio area with hardwood furniture offering a barbeque and a chiminea.